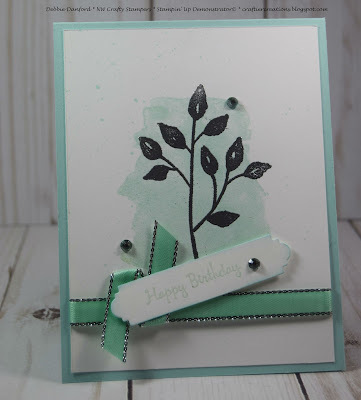 This is a quick and easy card to make, and could be done with any color combination. 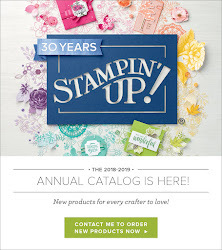 I wanted to use something new from the catalog and something returning. On Whisper White stamp the background stamp from the Love What You Do set in Pool Party. 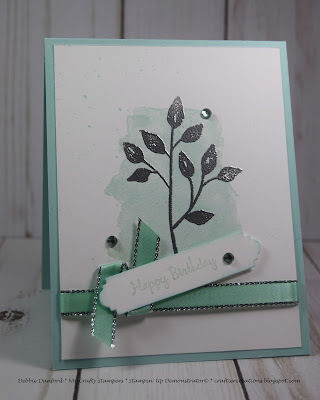 Heat set it with the embossing gun then rub your embossing buddy all over. Stamp the leaf from the Petal Palette in Versa Mark and emboss with Silver Embossing Powder. 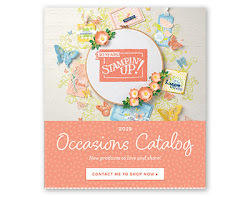 Color the ribbon with the Pool Party Stampin' Blends. 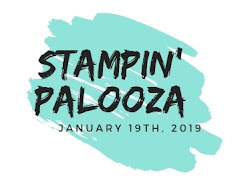 Stamp phrase on Whisper White with Versa Mark then stamp it into the Pool Party and emboss with clear embossing powder. 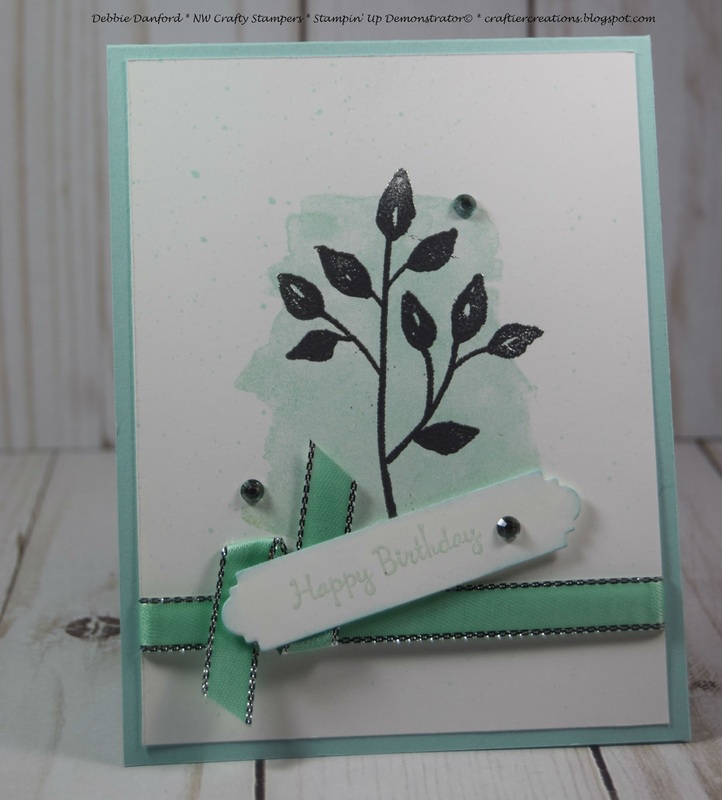 Die cut with label die from the Petals and more Thinlits. 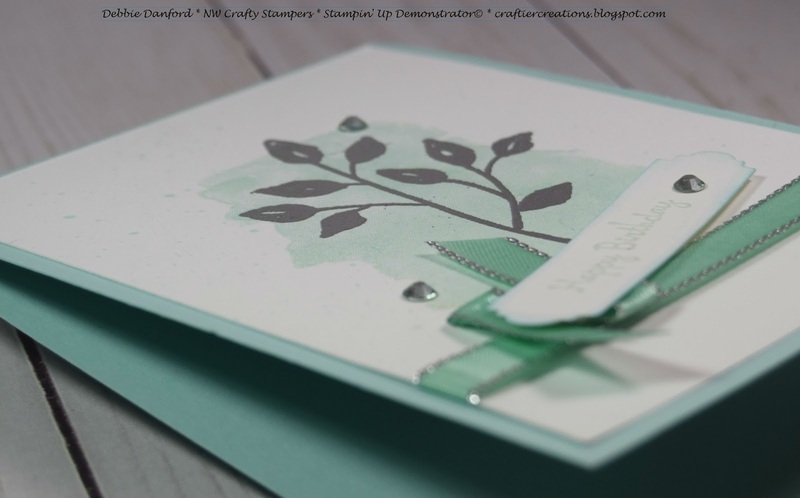 Color the Rhinstones with the Pool Party Stampin' Blends and attach to card.